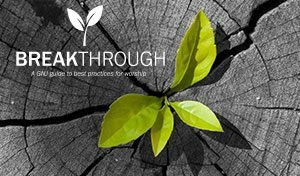 Breakthrough is a resource designed to provide easy to use best practices and worship series so that GNJ congregations can re-tune their worship, spend less time preparing the details and focus on what really matters – preaching the gospel to make disciples of Christ for the transformation of the world. The suggestions in these pages have been cultivated from leaders in GNJ churches. They’ve been tried and tested in different ministry settings and contexts. Take a look and use them to refresh your worship. Click here for information about the Breakthrough sermon series and resources. The Gospels tell of Jesus’ miracle ministry using two Greek words dunamis and simaios. In the synoptic Gospels, Matthew, Mark and Luke, the Greek word dunamis is used which means power – God’s power to transform life. The Gospel of John primarily uses the word simaios, which means sign – a miracle that points to God’s activity in the world. Where is God still at work? How are we called to be courageous participants? As we open our eyes and fill our prayers with expectation, we’ll find miracles everywhere. 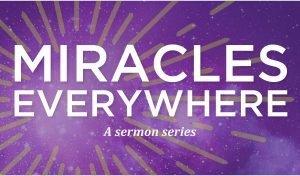 Click here for sermon series. Join with churches all across Greater New Jersey in rediscovering the power of baptism! Download sermon series resources, graphics, promotional material, small group curriculum, and much more! 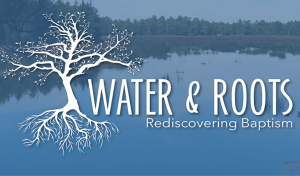 Click here for baptism resources for worship, small groups and much more. Rejoice always is one of the shortest verses in all of scripture. It is also one of the most challenging. What did these words mean to a church community in transition? What do they mean for us today? In this five week series we will find joy in our past, our present and our future as we celebrate our progress and face our challenges. Following just the six Sundays leading up to Easter – There is a progression of meetings and encounters that Jesus has on his way to the cross. Each encounter points toward the hope of redemption and salvation. Each encounter is more public than the previous, leading us from individual experiences to group encounters to a redemptive event for the whole world.